You know that place. You’ve been there before. For me as a kid, it was a magical, mystical place where all my hopes and dreams were born, and where the answers to all my questions could be found. And now, I get to watch as Becca begins to enjoy that place. The first time we went, it was information overload for her. The shelves tower so high, and the books go on for eternity. And we go to a very tiny one that has maybe 1/10th the ones I grew up going to! But yet, she doesn’t know any different. And she loves it. She loves everything about the spongy padded floor, the little round table, the tiny chairs. But most of all, she loves the books. “That Place,” of course, is our little local library. Becca loves books. She devours them. It used to be that she devoured them literally – as she frantically chewed on everything in sight. Now, she devours them for what’s inside. She turns the pages, she looks at the pictures, and feels if there are textures. She likes to streak her fingers down the hard covers and make squeaky noises. And she loves to listen to them being read. Ask her to pick out a book for story time, and you’re liable to end up with a whole stack because she just can’t decide which book she likes best. 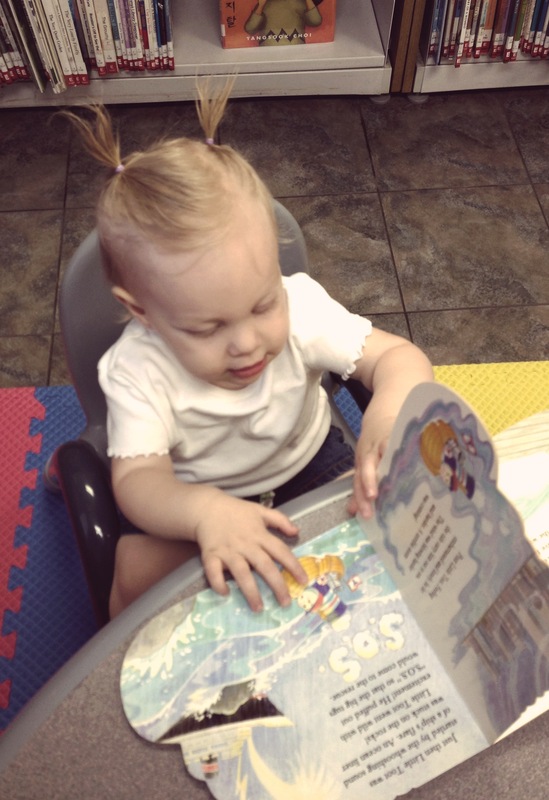 It makes me immensely happy to see her love of books developing at such a young age. 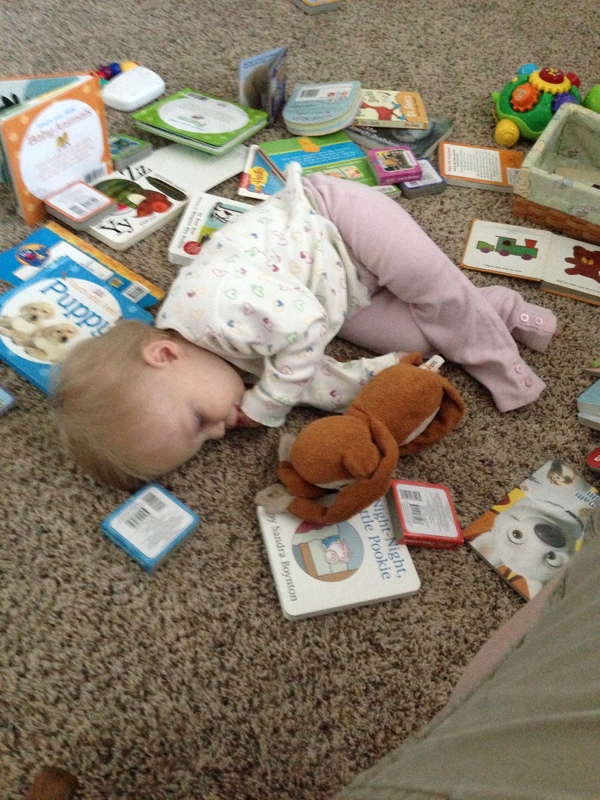 Most of the time, given the choice between a basket of books and a basket of toys, she’ll pick the books. So today, I got the joy not only of taking her to the library this morning, but Cody finished painting our bookshelf for our family room, and has it all together and it’s dry… so I started setting up our home library for her! All of the books I kept from my teaching days are for when she’s older – they have paper pages, not cardboard – but this morning it was so neat to have her watch as I put the books on the shelves up high. She sat there just staring in awe at all the books as they came out of their storage space. 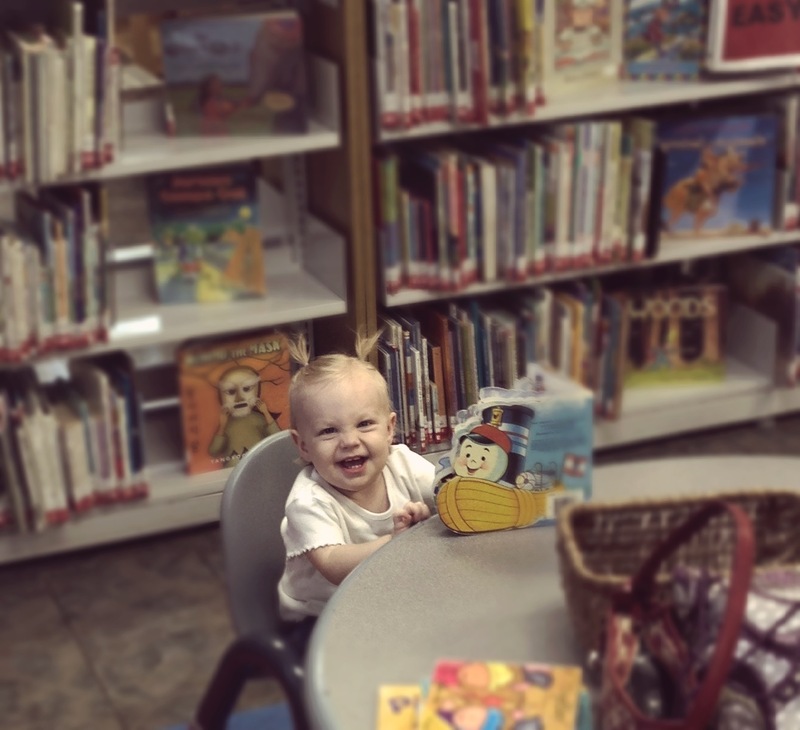 I’m nowhere near done with the project – I’ll sort them by type and author eventually – but it’s so fun to see her so excited about books, and to know that there are tons of fun books just waiting for her in our own library, much less all the fun adventures she can check out from the public library! I love this girl so much. I love books so much. And I’m so glad that she loves “That Place” as much as I did as a kid. I just know there are so many adventures waiting for her on those shelves, and I’m so excited to watch her experience each and every one of them!